Full-back Israel Folau will remain with Australia and Super Rugby club Waratahs at least until 2022 after signing a new contract. 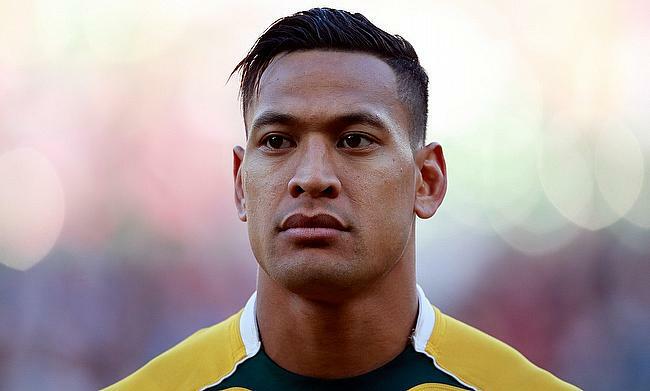 Folau switched codes to rugby union in 2013 after playing for Australia in rugby league and has been with Waratahs since then. He also enjoyed a brief stint with Japanese club NTT DoCoMo Red Hurricanes in the Top League. “I’m really grateful to Rugby Australia and the Waratahs for all they have done for me. When I made the switch to rugby five years ago, I could never have dreamed that it would have gone this well,” he told the Waratahs website. “The World Cup is a big target of mine this year and I believe this Wallabies group can go a long way if we keep on improving. I’m looking forward to working hard and doing whatever I can to help the team achieve what we want to achieve both this year and into the future. It is understood that the 29-year-old has been in discussion with Rugby Australia for four months to finalise the deal. “Israel’s contribution the Wallabies since making the switch shows why he’s one of the best players in the world," Australia head coach Michael Cheika said. “It is great to see him make a long-term commitment to the Wallabies and Waratahs, and I know that he’s still very keen to become an even better player in that time, as well achieve success with the Wallabies.